A baseline for assessing your digital readiness. The past five articles in Kathleen Peterson’s Healthcare Corner series have highlighted strategic drivers and operational requirements for improving patient access and experience in the contact center. In this final article, Kathleen examines healthcare’s next big push, improving digital access, although current contact center leaders may not even know about it. Healthcare is notoriously behind the times when it comes to digital access… that is the ability to streamline processes and procedures to enable access via the web and mobile apps. Like it or not, a big part of the future of healthcare access is digital and the biggest obstacles are poor processes. The time has come to weed out the obstacles to be ready when the “digital natives” seek out their care options. There are many contemporary leaders who clearly understand the advantages of digital readiness at the operational level; there are others who do not. The following is a summary of five core barriers to digital access that may serve as a baseline for assessing YOUR digital readiness. Explore companies like Forward Health in San Francisco, founded by former Google and Uber executives, with a mission “to reinvent the doctor’s office.” Its flagship location in San Francisco looks like an Apple Store. Founded in 2016, Forward makes over every touchpoint in Healthcare. The company’s engineers built things like diagnostics tools and a mobile app that patients use to book appointments. The technology creates a better user experience for members and their doctors. There are more and more emerging healthcare operations adopting 21st century business models that are creating competition in an industry new to the concept of being a commodity. Healthcare may be a key industry keeping office paper providers in business! We sign paper HIPPA promises every time we visit a practitioner. Far too much paper accompanies office visits, follow-ups, procedure prepping and referrals. It is to the point where many patients do “eye rolls” when handed a clipboard to complete a multipage dossier upon arrival. They often comment, “Why couldn’t I do this online, before I arrived?” Well, I should mention that some do send the “packet” via U.S. mail to your home to be completed before the appointment. However, new and emerging providers have automated this process. When paper drives process, manual integration quickly follows. Manual integration happens any time data has to be rekeyed or cut and pasted from one system to another. Manual integration is fraught with delays and errors; it is a top obstacle to digital access. When humans provide the bridge between information targets… that is digital access obstruction in action. For example, when physician-to-physician referrals arrive in centralized contact centers in which the process does not include standard submission forms, humans are enlisted to “triage” requests and rekey information. When submissions cannot be routed by some kind of standard (e.g., subject line, specialty type), it falls to humans to “triage.” Many contact centers assign this task to nurses, increasing costs significantly. This manual approach usually results in response time that is in number of days, not hours. (I have seen referrals take over two weeks to “process.”) Patients who don’t expect this delay will often call to check the status of their referral, increasing demand in the contact center. Failure to provide the proper digital interface to these types of processes damages the patient experience, the brand and, ultimately, revenue if the patient chooses a different practitioner during the delay. Some EMR (Electronic Medical Record) providers offer a very nifty referral portal with access via a website. EMRs need not be common across the referring physician practices. This allows standardization to support centralization, improved response time, physician utilization and overall patient experience. There are those who claim that practices simply won’t use a web-based portal. To me, this falls in the land of untested limits… a land that offers an easy and untested “out” to introducing new processes and tools for digital access. Those handling referrals must take charge of the process and work closely with their constituents to comply with use of 21st century tools. Complex scheduling rules could be the number one obstacle to digital access when you get right down to it. Physician scheduling practices today have very deep roots in the private practice model of the last century. Once upon a time physician practices were scheduled by how specifically the physician wanted their appointments to be organized. And today, some physicians will only see one new patient a day or maybe two—one in the morning and one in the afternoon. Follow-ups, procedures, new complaints, etc., all have various time allotments to be considered as the scheduling template is built. Many physicians have additional criteria for agreeing to book a patient. Some specialists want prior test results while others have age, weight and BMI limits on whom they will see. There are worker’s comp visits or “independent medical exams” for legal wrangling. Even specialists within the same practice have widely varying rules around how to handle their appointments. As a result, the “protocols” or rules become cumbersome for centralization of appointment scheduling. This forces a high percentage of calls to be transferred to the practice, where availability is an ongoing issue that further delays and possibly damages the patient experience. Healthcare systems must take a long and hard look at these protocol/preferences that force calls to be transferred back to the practice; this scenario is the ultimate digital obstacle. Any time a process forces a consult or transfer, digital access is at risk. And let’s face it, the next-generation patient has absolutely no interest in calling to book, change or cancel a doctor’s appointment. They expect to be able to access providers using their mobile device and protocol complexities become a real issue. We must also understand that physicians feel strongly that their protocols are necessary; so this becomes a change management challenge. Patient-centric systems must also be provider sensitive and work closely to streamline access. The minimization of calls being transferred back to the practice must be a JOINT effort. The contact center and the practice need both be held to an objective of minimizing transfers. This is NOT a failure of the scheduling contact center; it is a failure of process. Many healthcare scheduling operations are a collection of small groups dedicated to a particular practice or function. This often leaves callers queuing to one small team while agents on other teams sit idle. This is grossly inefficient, but defended by a declaration of the “differences” among practice and protocols. A focus on differences needs to shift to a focus on similarities. We find quite often that when you detail out the tasks there are many more similarities than differences; these need to drive skill development, training and job aids to allow for a larger pool of resources to be available to answer calls or respond to other channels. Now for the final obstacle to digital access… the reluctant executive. Reluctant executives are those leaders who want to centralize physician appointment scheduling (or other functions) because they are very clear on the benefits. However, they “abdicate” the responsibility of seeing to it that all players understand objectives and responsibilities. The failure to provide governance to support the major changes faced during centralization efforts results in an optimization that is “elusive.” The most important member of the governance group for centralized scheduling is the chief medical officer or their representative. Many challenges that emerge between the contact center and physician practices cannot be resolved without proper governance as these are essentially two peer groups who disagree. In seriously flawed operations, the practices often consider themselves “above” the contact center and a seriously dysfunctional relationship emerges. Often, physicians can only be “moved” to adoption by the gentle nudge of the most senior medical executive. Governance may be a temporary group formed to oversee the performance of the contact center, the practice, and any other business units supporting or being supported by the contact center. It can exist until the operations have addressed issues and demonstrated the ability to function without direct oversight. However, make no mistake about it. An executive champion is a must-have when you have a healthcare contact center. The healthcare contact center of the 21st century is transforming into a hub in which humans will be reserved for complex contacts and systems. Websites and apps will handle day-to-day transactions and interactions. 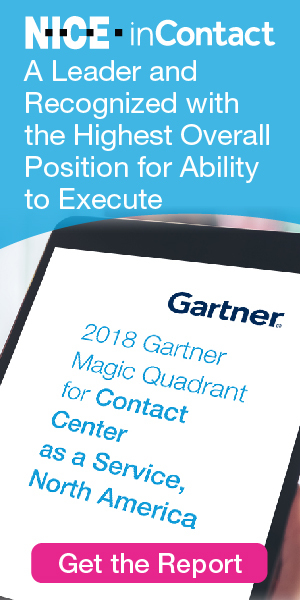 The contact center has the opportunity to make a major contribution in digital access by identifying major obstacles, determining what it takes to eliminate them, and creating a plan of action. Ask yourself, “How close are we to adopting a true digital access platform?” If the answer scares you, it is best to get started now!